Does Humidity Affect My Laminate Flooring in Toronto? You’ve heard that laminate flooring in Toronto is super resilient, and you can install it anywhere, right? Well, that’s not entirely true. When it comes to the water-resistant, dent and scratch-resistant nature of this popular product, the performance is impressive. However, laminate does contain wood, and as such, there are some limitations you need to know about. Have you ever considered how temperature and moisture levels in your home might affect your laminate flooring? Here, we’ll outline need-to-know info about humidity as it relates to your floors. Our summers can be hot and humid in southern Ontario. If your home’s air moisture levels increase over 55%, you might be exposing the wood elements in your floors to expansion with moisture. Too much humidity can cause floorboards to swell. 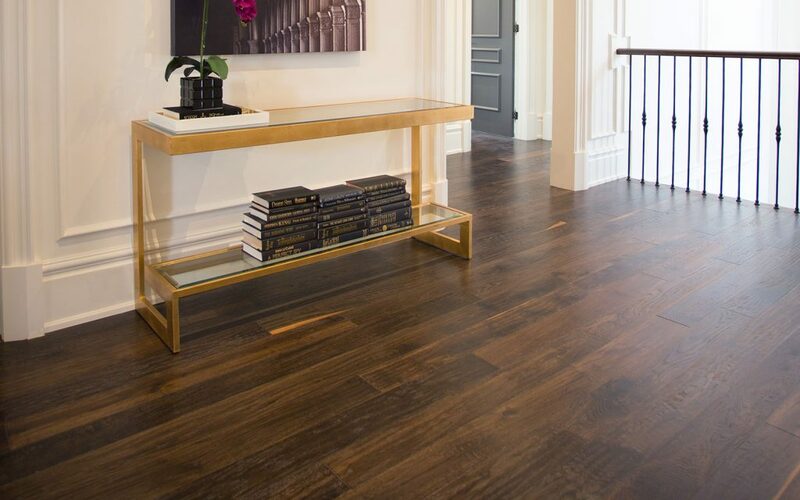 Laminate is less affected by these changes than solid hardwood floors, but it’s still a consideration. When planks expand, the pressure between them increases, and they can buckle or warp. Laminate contains resin and compressed layers of wood material, so it does resist damage or buckling better than solid hardwood. Laminate flooring in Toronto is fitted together like a puzzle with a mechanical click system. The small tongue and groove pieces may not fit together as designed if the wood dehydrates or swells with humidity. During the hot, summer months, laminate may appear crowned or raised in some areas. During dry, winter months, the wood elements can shrink and reveal cracks between the boards. When you order a shipment of flooring planks, it’s recommended that you leave the boxes open in the room where you plan to install for a few days before beginning your project. Some expansion and contraction is reasonable and not cause for alarm. There are a few things you can do to protect the life of your floor and reduce those changes. Don’t clean your laminate floors with excessive water. Wetting the floor regularly or allowing water to stand on the floor can allow moisture to seep between the planks and warp the wood. You only need a damp mop and spot cleaning for spills. Aim to keep the humidity in your home between 35% and 55%. Purchase a humidistat or a hydrometer to monitor and if necessary, acquire a humidifier or dehumidifier to stabilize the air moisture. Lastly, don’t install laminate in bathrooms if you can help it. The material resists moisture well and holds up better than solid wood in those environments, but it’s still not recommended as the chance of exposure to excess water regularly will be higher. 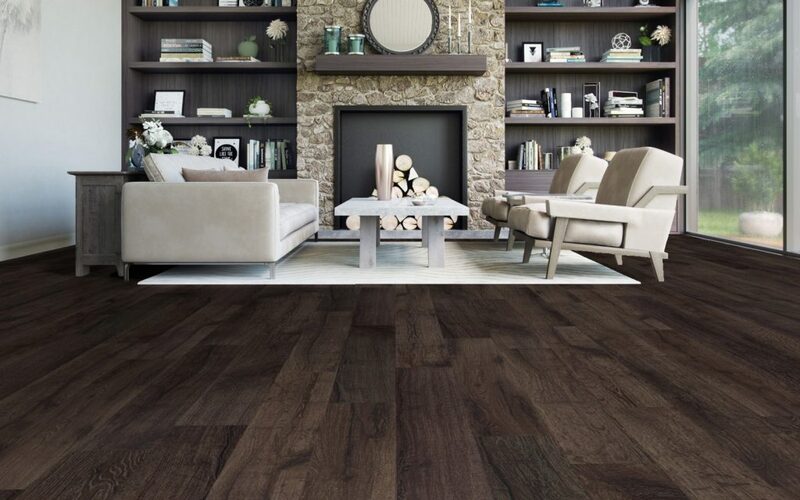 Instead, for bathrooms and laundry rooms, we recommend considering the expansive and high-performance collection of vinyl at Chestnut Flooring. We carry luxury vinyl which resembles nearly any preferred design material you can imagine. The installation is a breeze and adaptability to any space makes it a hot product. Contact us today to learn more about the laminate floor or to take a tour of our showroom and see all your options.